Technology no longer simply refines previously accepted means and media. So, to understand – and shape L&D’s future – we first need to suspend the conditions that limit our imagination. 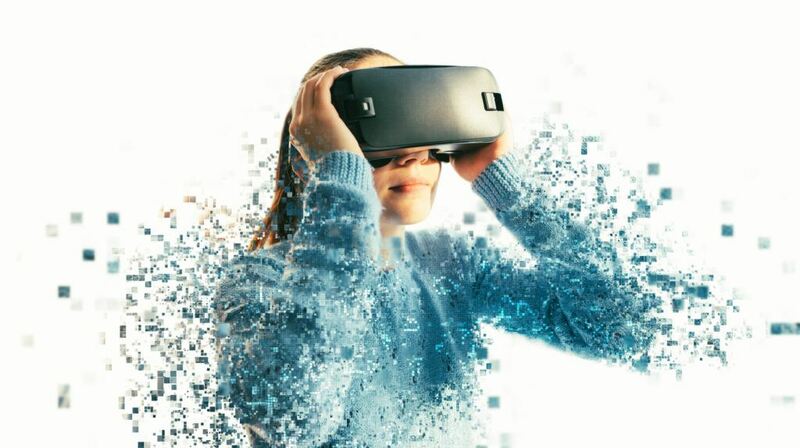 You will have undoubtably read many ‘future of learning’ articles that predict the means and mechanisms for learning, extrapolating peripheral technologies that are entering the vernacular of L&D, but this article is different. This isn’t a crass oversimplification of technologies but a means of extending L&D’s expectation of technology and how it could serve us in the not-so-distant future. I’m often frustrated when I read that gamification, chatbots, AR and VR are the future of L&D when they’re simply not. They are the present and are being used to varying levels of success and we – as well as more of our colleagues – may adopt them soon enough. We seem to drool over these things like they will transform our offering by increasing engagement in our stuff exponentially, when the best they are likely to do is make our online stuff less crappy whilst we never really seek to understand what our people really want – and need. Humans are pretty rubbish at imagining a future too dissimilar to what we’re currently experiencing. In the late 1980s, I remember seeing video call technology being presented on a primetime UK TV show called Tomorrow’s World and it blew my mind! Imagine seeing somebody while you were talking with them…!? Around the same time, I also used to dream about having a portable TV that I could watch at school. And I’ve always had a strong nostalgic streak, so in my 20s, I collected VHS videos of TV shows I remembered as a child as a way of unlocking dormant emotional associations I had for them. I didn’t collect many but I got to watch Bagpuss , Chorlton and the Wheelies, and Bod again. At each of these stages in my history, I could never have imagined having one device in my pocket that gave me instant access to all of this – and more! From the late 1970s until the mid-90s, technologies advanced but at a rate at which each advancement was just a slightly more refined version of what had existed before. LPs to CDs. VHS to DVDs. Black and white TV (yes we had a black and white TV until 1979) to color. But then… constant connectivity and ubiquitous access to the world’s information, media and people changed everything beyond anything I could have possibly imagined. So, What Does This Teach Us About The Future? Back To The Future Of L&D: How Are We Now Limiting Our Own Advancement? No, no, no! I don’t believe that L&D will become a slightly better version of now. In the not too distant future (and I’m not the first to say this) L&D will be largely invisible as we disintermediate the development experience, connecting people with what they really need (i.e. contextually relevant information, know-how, and insights for specific organisations and roles), when and how they need them in service of their work and careers. Too often, engagement still seems to be the holy grail for L&D, i.e. when clients aren’t engaging in legacy learning tech, L&D seek something more ‘engaging’ – rather than something that actually ‘works’. Maybe this is because L&D are more comfortable describing the way they want something delivered (i.e. gamified, mobile, interactive, AR or VR) than the results they want to see. Business metrics are both used to diagnose areas to focus the attention of L&D as well as measure the improvements made as a result. Of course, this doesn’t all have to be the near future of L&D. For the purpose of this piece, it’s a conversation starter. But it is so important that we stop letting existing practices and technologies hamstring our preconceptions of the future. We also have to stop thinking about ourselves: what we want to design and deliver; and how we wish to create ‘homes’ for our offering. Instead, we must put our clients (as identifiably unique as they are) at the heart of what we do. It is only about them, their roles, their challenges, and their ambitions. Looop is a next-generation learning platform that makes it easier than ever to deliver targeted and effective employee training anywhere, anytime. Book a demo to find out why eLearning Industry voted us #1 for user experience and customer experience.